In the midst of the Second World War, Eva receives the devastating news that her husband is missing and presumed dead. Neither wife nor widow, she lives in a numb state of limbo until, in the heat of an English summer, she meets Bill, a black American GI. Despite their vastly different backgrounds, neither can deny the love that overcomes them in the frantic weeks that follow, when every day could be their last. After Eva discovers she’s pregnant, Bill is shipped off to join the D-day fight, leaving her alone in a bigoted world. As her mixed-race daughter, Louisa, grows up, how far will Eva go to keep her safe and bury the past? And how far will Louisa go to uncover the truth? 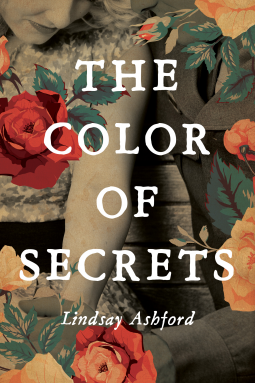 The Color of Secrets by Lindsay Ashford began its life as a self published novel and was "spotted" thanks to Amazon's Breakthrough Novel Award. When I saw that this book was originally a self published title it kind of put me off reading it, but I was so intrigued by the title I just had to at least try. I have to say, I was not disappointed. This book is well written, and its characters are all well developed - the only thing that I did think could have borne more explanation were 'the falls' and their associated bridge, but that is a singular scene and has no bearing on the majority of the story. Twenty-one year old Eva had never seen a black man before, until a carriage full of them arrived at the railway station.Rumours were rife amongst her co-workers, and she knew they couldn't be true. Who judged someone by the way they looked? She was infuriated. Then she meets Bill, a black American GI stationed near her home town of Wolverhampton. The Color of Secrets chronicles the life of Eva and her daughter Louisa as they navigate the world of post war England and Wales. How will Louisa cope when she discovers the man who she thinks is her father admits that he isn't!? Will Eva ever come out of her depression? And what of Bill, where did he disappear to after the war? Was he even still alive? I received an ebook from the publisher via Netgalley for the purposes of a review, this review is my personal view and is not required to be positive.